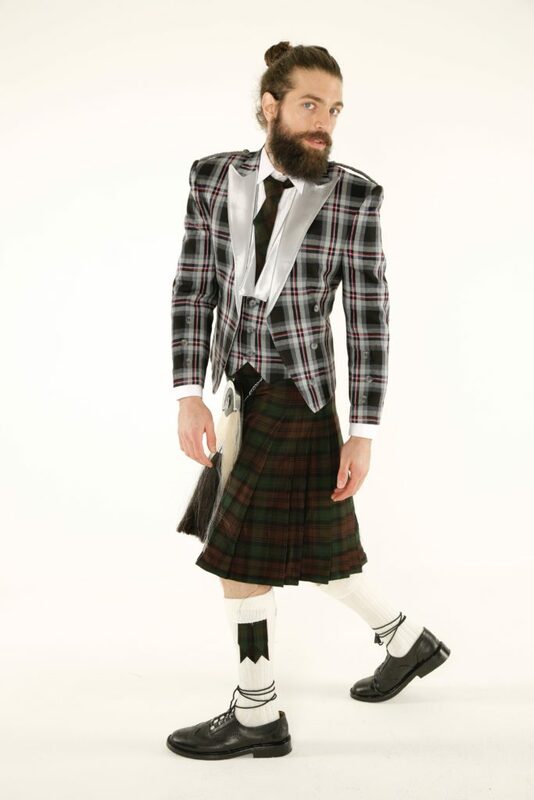 Design the perfect kilt ensemble from top to bottom with the Prince Charlie Tartan Jacket and Utility Kilt Outfit shown here. 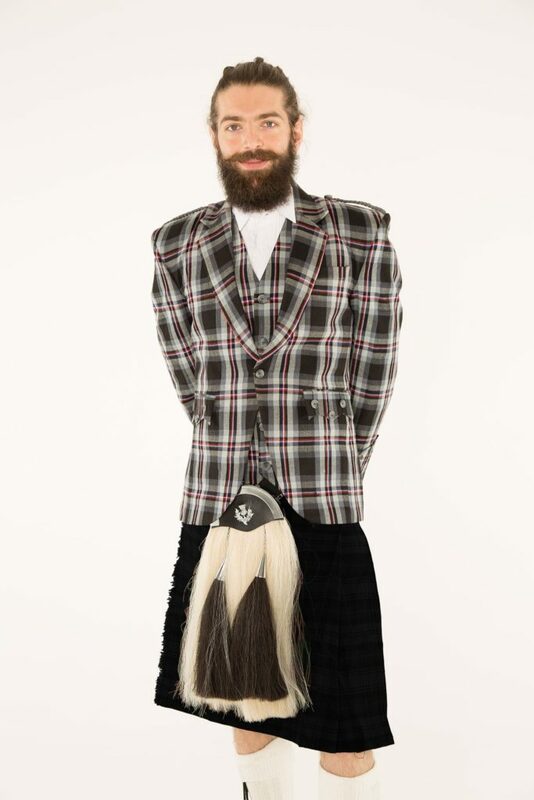 The Prince Charlie Tartan Jacket and Utility Kilt Outfit comes with a jacket, kilt, belt buckle and belt for you to customize to your liking and to your specific style. Totally made to measure, you can pick your own tartan for the jacket. 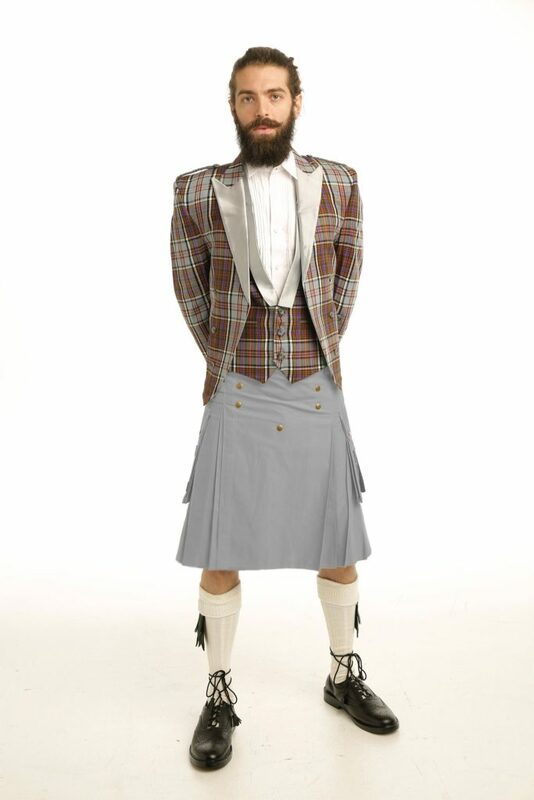 Choose your belt and belt buckle, and then begin choosing the right side of your handy and stylish utility kilt. 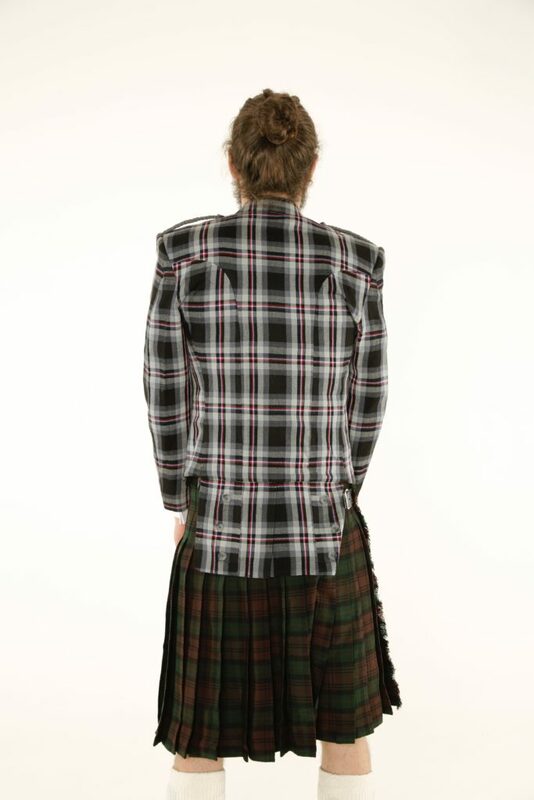 With the jacket, you can choose things such as the back length, the sleeve length, the chest size and the shoulder width. 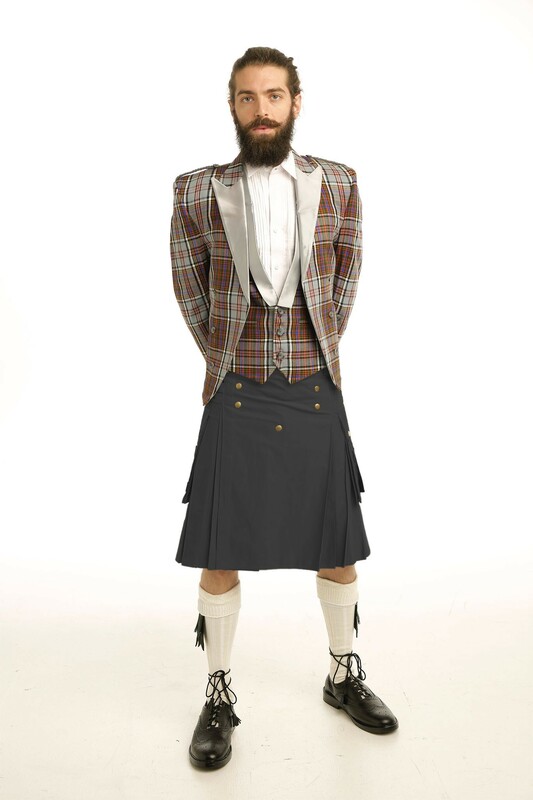 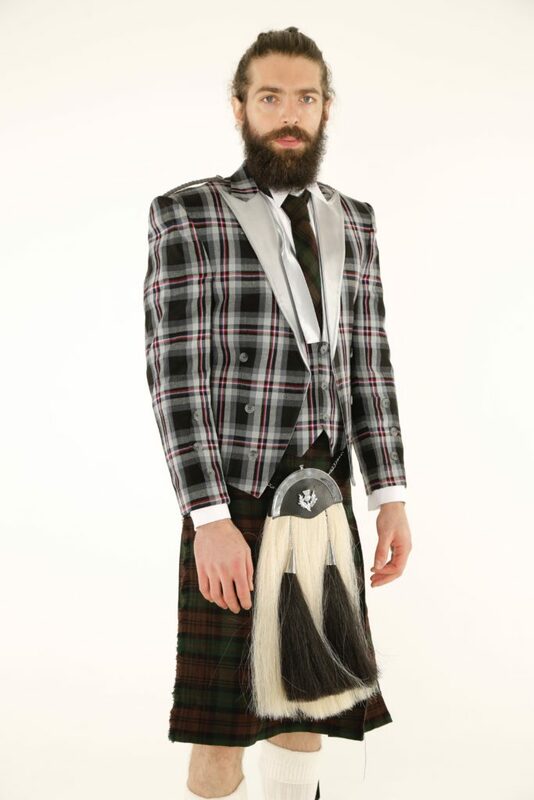 You can also customize the size of the kilt using fell measurement, kilt length, height, hip size and waist size alike. 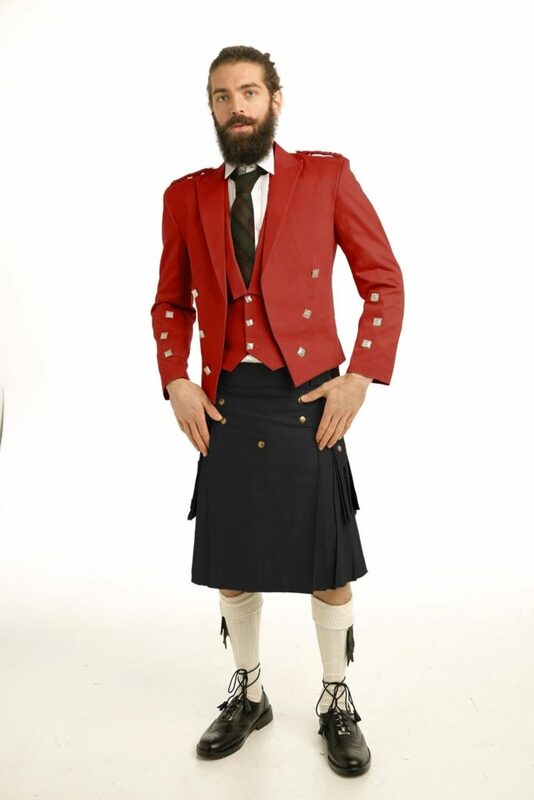 The Prince Charlie Tartan Jacket and Utility Kilt Outfit comes with a jacket, kilt, belt buckle and belt for you to customize to your liking and to your specific style.